When we decide to contact someone for our ‘Words of Watch Heads’ rubric, we are always on the lookout for a special person. This latest addition is one of our inspirations: Maximilian Busser. 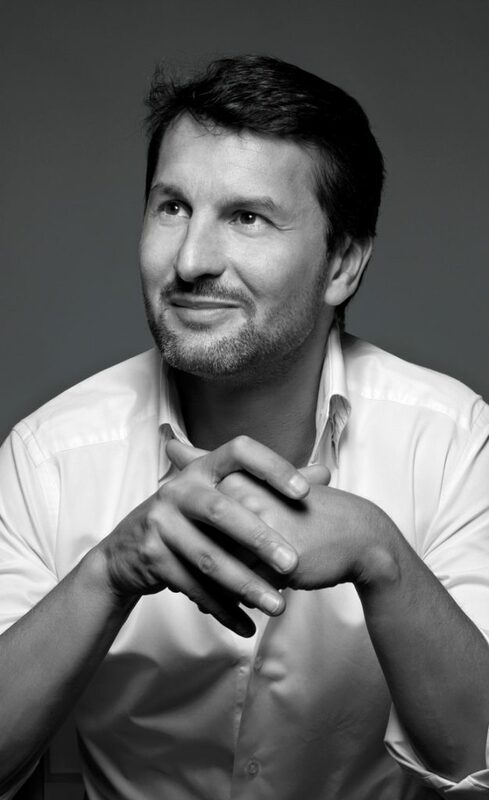 The man behind MB&F. A visionair and artist, someone we had to contact and – believe it or not – we celebrated for a week long when he contacted us with confirmation. Now, with due pride, we present to you: Max Busser in conversation with House of Chronos. Enjoy reading! -Hello Mr. Busser, thanks a lot for taking the time to answer a few questions. Could you tell us the first thing you did this morning after eating breakfast? I rushed to the airport to catch my flight to Berlin – meeting with a fantastic young artist who we would like to curate at the M.A.D. Galleries. 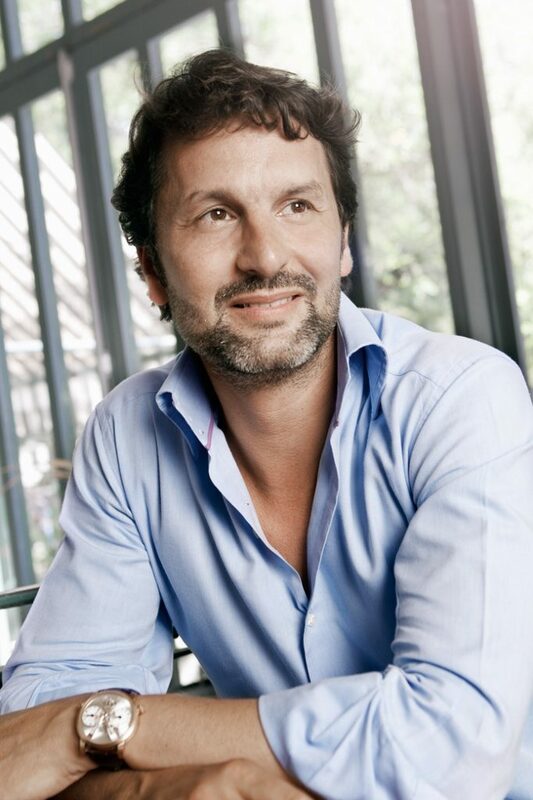 -Now, since we are a medium that talks about watches, we could say everybody knows (or has to know) MB&F, but who’s the passionate Maximillian Busser behind that MB? I actually think that virtually no one knows about MB&F – except a few watch geeks like ourselves – and that is not fake humbleness, but a fact. When I travel around the world and meet a lot of people wearing beautiful watches, the majority have either vaguely heard about us or not at all. Let us not forget that MB&F is a microscopic creative lab, with a business model that does not allow any advertising budget (every cent goes into the R&D and artisanship). So yes, we do have quite an impressive presence (at least we think so) on watch blogs and social media, but those media talk to a very small circle of people – the ones we like to hang out with! Who am I? Good grief… I am probably the worst person to define myself… I was a kid who used to not fit in, and who suffered a lot from this. Many years later, I discovered that it is not only OK to not fit in, but I actually made a life out of it. I was also lucky to have parents with great human values. Human values that I try to abide by in my life and company, hence the word “Friends” in MB&F – and the fact that we try to help all the artists we curate at our M.A.D. Galleries. I was also fortunate to find what I loved in life, and to battle to get it. Not power, not fame, not money – only creative freedom, mechanical sculptures and being surrounded by great people. -You have a rich history when it comes to watches and working with them. Think about Jaeger and Harry Winston. Did you have the feeling the real Mr. Busser couldn’t express himself in those days? Is that the reason you’ve started MB&F? MB&F is a life decision, not a business decision. When my father passed away late 2001 I started realizing the notion of real regrets and set upon giving birth to my own creative adventure. One which would be my legacy and autobiography at the same time. I probably only have two talents, if any: having completely different ideas vs. most others, and being able to surround myself with extraordinarily talented people, who transform those ideas into reality. I did not create MB&F thinking it would flourish. I created it to be proud, even if it were not to be successful. -We have to be a bit formal, so writing about the Rolexes and Pateks of this world is also a thing we do, but that’s not what we describe as passionate brands. How do you look at the difference between the brands with a rich history and the brands fully existing on doing something different? One cannot compare a big corporation with an important social responsibility to its thousands of employees and sometimes shareholders, with a personally-owned micro creative lab whose sole purpose is to make its team happy by exploring new boundaries. If I were the CEO of one of those big ships, I would be insane to try to create what I am doing now, because I would probably drive the company into bankruptcy in record time! MB&F can exist only because it is so small and crafts such few pieces. 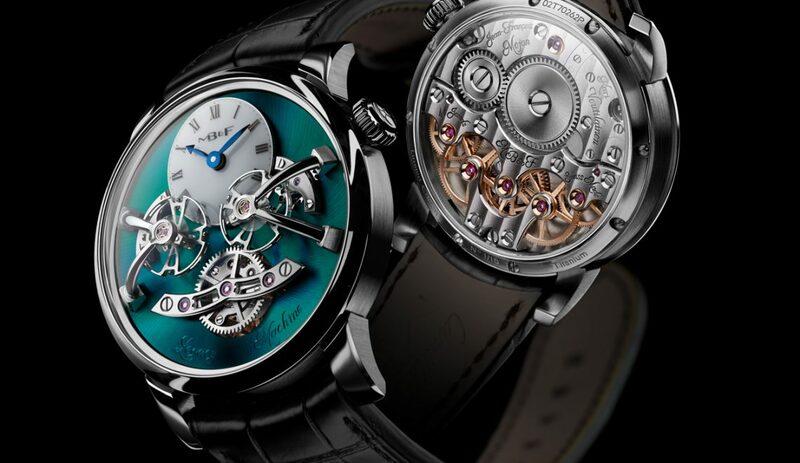 -You’ve always stated that a buyer of an MB&F ‘timepiece’ doesn’t buy it for its goal of showing time. That’s not the purpose of MB&F, do you think the passion behind the creation and assembly of your products should be seen more instead of the marketing machines with the sole purpose of money making? Without the big brands, we would not exist. They are the gigantic ice-breakers which pave the way of watchmaking while we are paddling in a little dinghy in their wake. With their limitless marketing budgets and gigantic reach, they bring people into the world of watches, they educate them, inspire them… and then, if they are so inclined, they allow them to explore other minute paths such as ours. Virtually no one got interested in watchmaking for the first time because of Urwerk, Kari Voutilainen or MB&F. We always need to thank the Rolex and Patek Philippe’s of this world for our existence. -When it comes to inspiration, is it the M.A.D.Gallery that inspires for new MB&F material or are there any significant others? The MB&F inspiration comes mostly – at least for the moment – from my life and childhood. I use it pretty much as psychotherapy. The M.A.D. Gallery made me discover that curating is as important as creating. Helping other creators to exist, bringing them together and showcasing their talent to the world makes me incredibly happy and proud. And from time to time, meeting these like-minded creative rebels sparks a piece of what we call Performance Art (we co-create a piece which neither would have had the idea or means alone). -When it comes to the industry as it is right now, do you like the developments? For instance, we wrote an article about the fact we think that it’s a circus every now and then. As an example: the ridiculous price difference between tourbillons. Are ‘normal’ brands creating a giant wave of trouble for special brands like MB&F? By that we mean, paying a fair amount of money for a Legacy Machine means becoming a part of a long-term vision, whilst paying the same for a marketing brand means paying for the name. What do you think of that? In the last ten years we have witnessed a scary decorrelation between price and value – which often has nothing to do with the size of the brand by the way. Because the primary reason for owning a beautiful mechanical timepiece has shifted from appreciation of artisanship and creativity to pure need of status, more and more buyers are totally clueless about quality and workmanship. And when that happens, brands can sell them any piece of industrial junk packaged in a cool marketing story at any price. -The Max Busser starting MB&F back in 2005, is it a whole other version of the one we see today? Is your vision still the same? Are you still pleased with the way the original idea of MB&F is developing? As MB&F is very much based on a personal creative process, it evolves all the time. If someone would have told me in 2005 that I would come out with a round watch, an art gallery and say music boxes, I would probably have told the person to get their head examined. 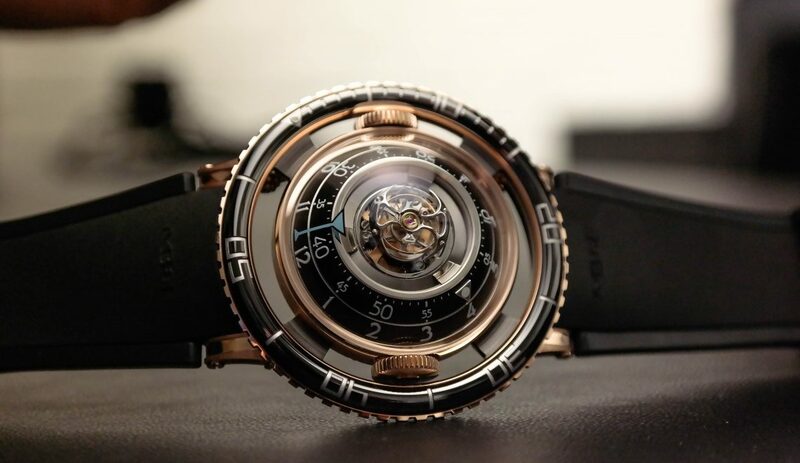 That is one of the many beauties of the MB&F concept: I have no idea where it is going to take us. A thrilling self-discovery roller coaster through time. As David Bowie once said, “I don’t know where I am going from here, but I promise it will not be boring”. I love the idea that I don’t know what I will be creating, besides the pieces which are already in the pipeline (and which will take us to 2022 approximately). -How would you like people to think 100 years from now when they hear the words Max Busser? Do you want to become a true Legacy Machine? I have started wondering about that in recent years. Not what I would like people to think of our legacy, because that is not in my hands, but what will be said when one of our pieces comes to auction… “Wildly unusual piece from an independent creator of which there is little trace”?… “One of the creators who launched a movement known as contemporary watchmaking that fizzled out after a few years”?… or “The beginning of what would change perception of a watch from piece of engineering to piece of mechanical art”? -A bit more personal. 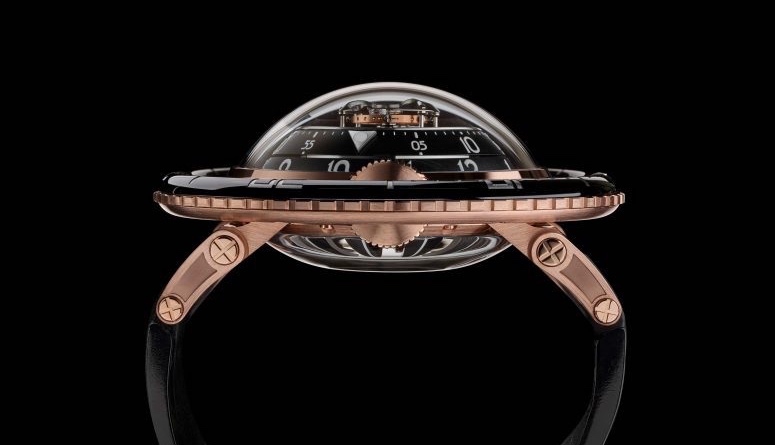 We can imagine that there are moments that you lay in bed afraid of the possibility that there will be new brands trying to ‘copy’ the style of MB&F because it ‘sells’. Without really having the passion and vision you and your team have. Does that keep you up at night? It does not keep me up at night but it does annoy me – more than it should – when I see that happening to any creator, not to us in particular. I love to see colleagues and friends trying to push the boundaries in their own way, take creative risks, follow their passion, write their chapter in history… But I feel sad and angry at those who have zero creativity and piggy-back to try to make money out of it. Having said that, what we create is often so anti-commercial, that I wish good luck to anyone trying to make money by copying us. -Do you like giving an interview to a person that’s not really in front of you? Because in life we rarely sit down and start asking ourselves questions, every interview is a great way to introspect. We usually never take the time to! -A lot of times, we try to discuss a brand like MB&F with others and we sometimes get replies like ‘that’s not what a timepiece should look like’ or ‘why would you create such complicated machine?’ Is it safe to say this means people do not really understand the purpose of MB&F? The vast majority don’t get it – and that is not only normal, but very healthy. I remember when the HM6 Space Pirate came out in 2014, we were initially hit by a ton of very cruel feedback on social media. I actually discovered the word “fugly” for the first time – and repeatedly! It sort of got to me, until our technical director told me one day, “If everyone liked what we do, we would be doing something fundamentally wrong”. Every single iconic piece of today – watchmaking or not – was misunderstood when it first came out, because what everyone loves today doesn’t have the character to become a new reference tomorrow. -Are there any things that you would like to change looking at choices made in the past? Would you’ve rode the bike more or not called MB&F, MB&F? No, seriously, any regrets regarding your watch minded life? Actually MB&F was supposed to be called B&F, but the trademark attorneys when I went to register told me it was suicide, as Bell & Ross had registered B&R everywhere and would block our registrations accordingly. We had some very tough times in these last eleven years – and nearly hit the wall for good probably four times – each occurrence for a different reason. Yes, I would have loved to avoid these issues, but having managed to get over them just made us wiser, tougher and more balanced. I know now, after all the knocks received in life, that whatever happens in the future, whatever will knock us down, we have the means to get back up on our feet. And that makes for a much more beautiful and serene life today. –In an interview from 2015 if I’m not mistaking, you’ve said Instagram helped MB&F to gain more public in the Middle-East. How do you think of the watch industry in that part of the world? Does MB&F fit in a world filled with gold-plated Bentleys and pet tigers? Unfortunately the Middle East suffers from this image of glitz and perceived poor taste from a European perspective, but I can assure you that it has changed. Ask the auction houses: Middle Eastern customers are now amongst the biggest buyers of vintage cars, vintage watches and high-end art. I meet more and more collectors in the Gulf that would put to shame most Europeans and Americans. -Mr. Busser, we would like to thank you and the whole team of MB&F for showing such passion. In our opinion, the industry needs more of these kind of visions. Marketing and big bags of money isn’t all there is. After all, watch mechanics are an art and art must never be created with the purpose of selling. Art comes from passion, vision and perseverance. We find those values in MB&F. We hope there’s more to come. Last question: Can you promise us you visit our website every once in a while? When you’re bored and want to read something that’s honest? Thank you so much for the kind words – we try our best at doing what we love most. Count me amongst your readers! THANK YOU VERY MUCH MR. BUSSER!